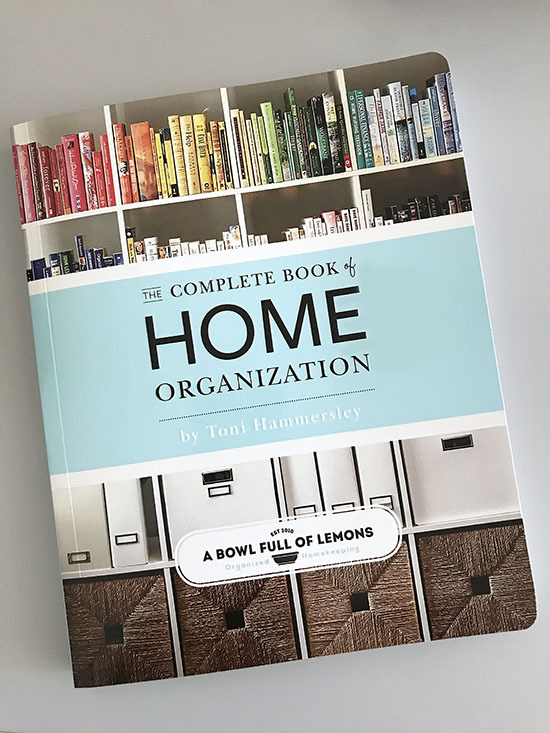 The 8th annual A Bowl Full of Lemons Home Organization Challenge will begin on January 5th, 2019. Are you struggling to keep your home in order? If so, you don’t want to miss this challenge. We will go through every area of the home, one week at a time, giving it the attention it needs. In the end, your home will be reset for 2019 and organized from top to bottom. Join me this year and get your home organized. Make sure to invite a friend to join you. This isn’t a challenge you want to do alone. You need an accountability partner. If you don’t have a friend or family member who wants to join you, don’t fret. You have the support of over 110,000 A Bowl Full of Lemons Facebook community members who are conquering clutter along side of you. Here’s what you need to do to prepare for January 5th. Join the challenge Facebook group here. Get the companion guide to the challenge here. Print out the 2019 packet (on the blog 1/2/19). Free your schedule one day a week and write the weekly challenges on your calendar. Choose an accountability partner to join you. Subscribe to my blog (for email updates). On January 2nd, I will share the 2019 schedule and challenge kit. Be sure to join my email list, so you don’t miss a thing. We will conquer clutter and organize our homes together. See you soon!